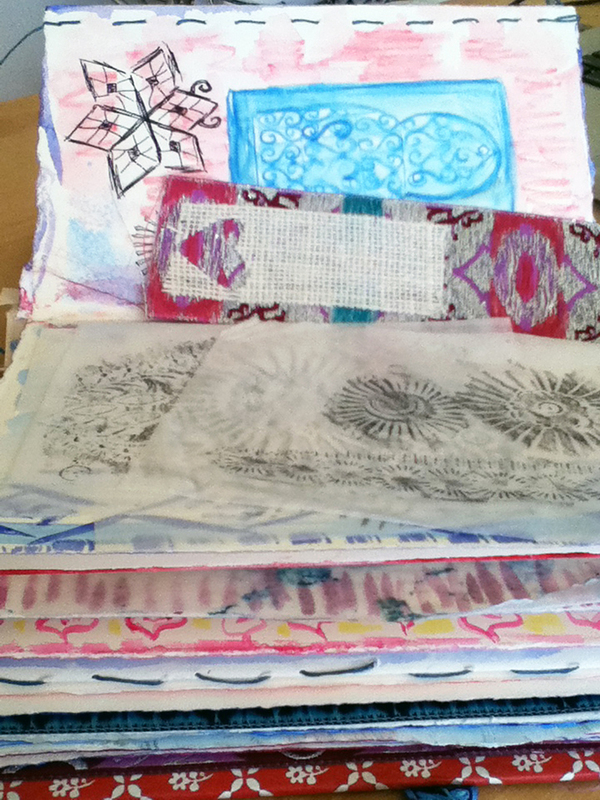 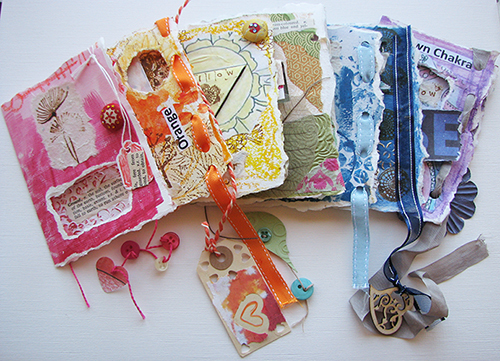 Here is a little peak into various sketchbooks. 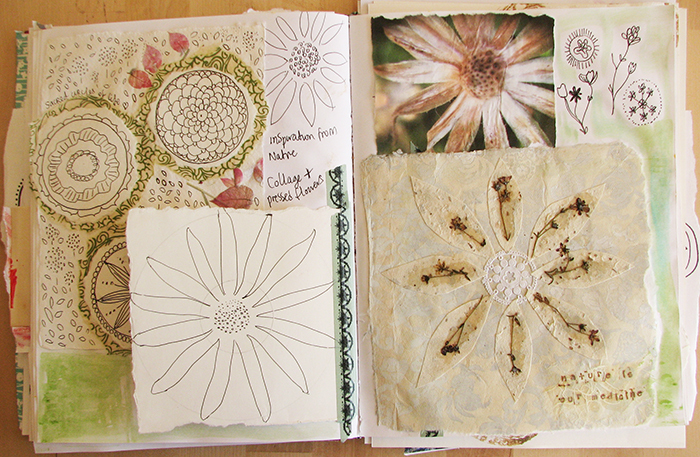 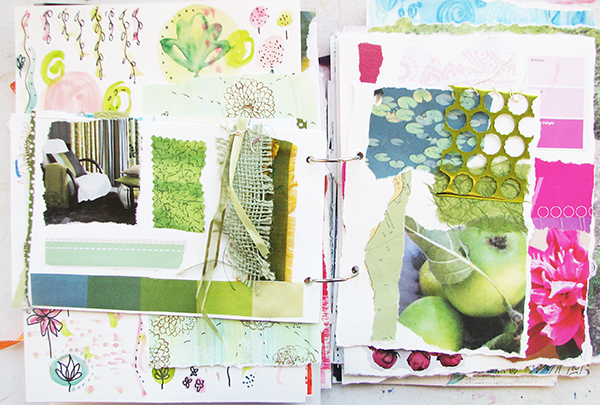 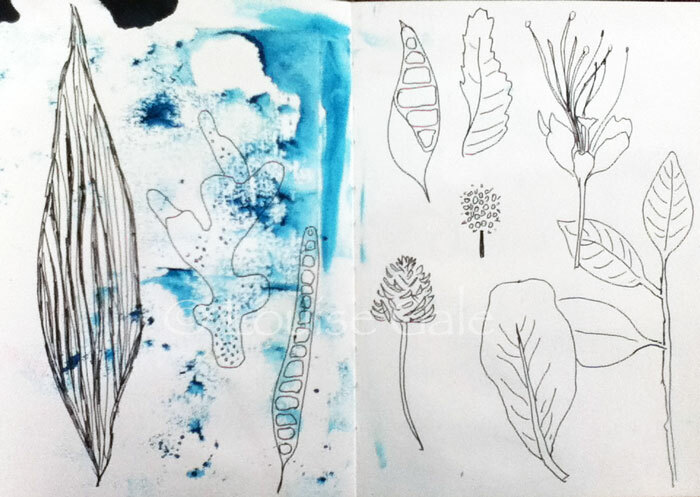 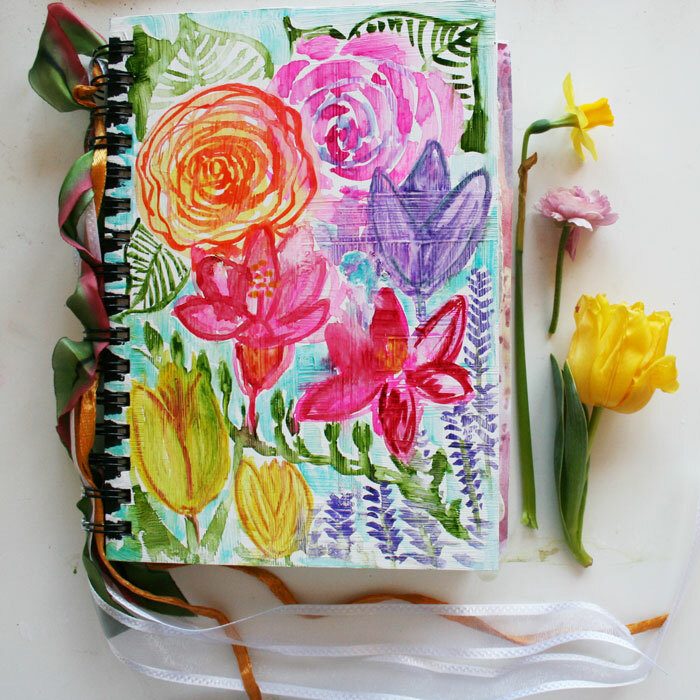 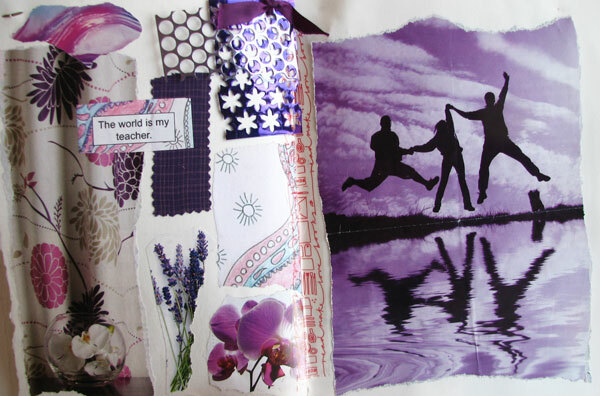 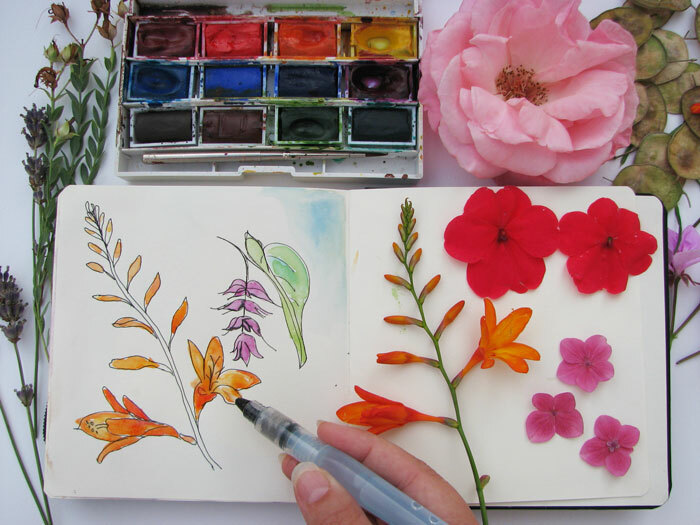 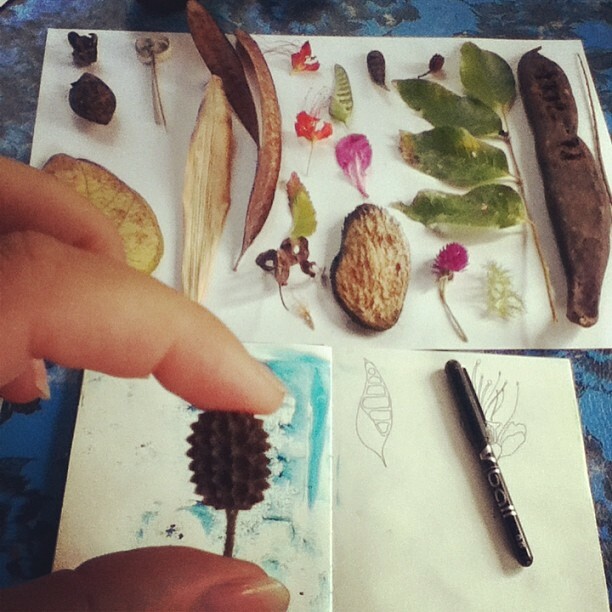 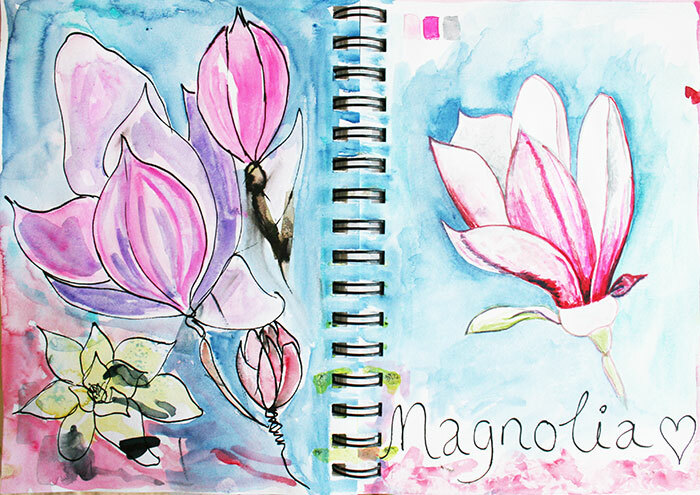 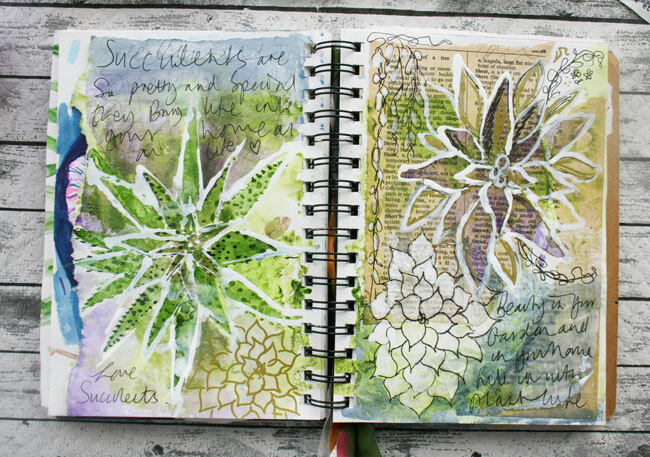 This is my Nature Trail sketchbooks where I love to capture the beauty of nature in various ways. 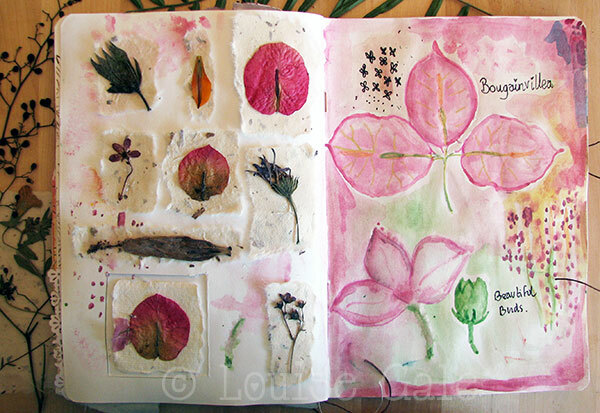 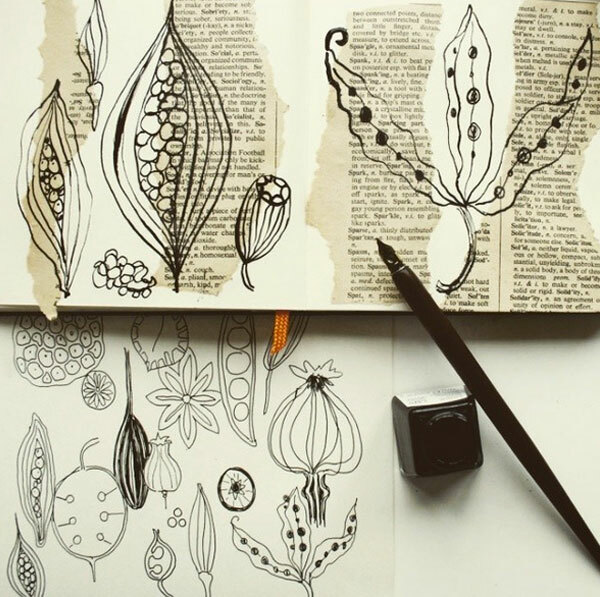 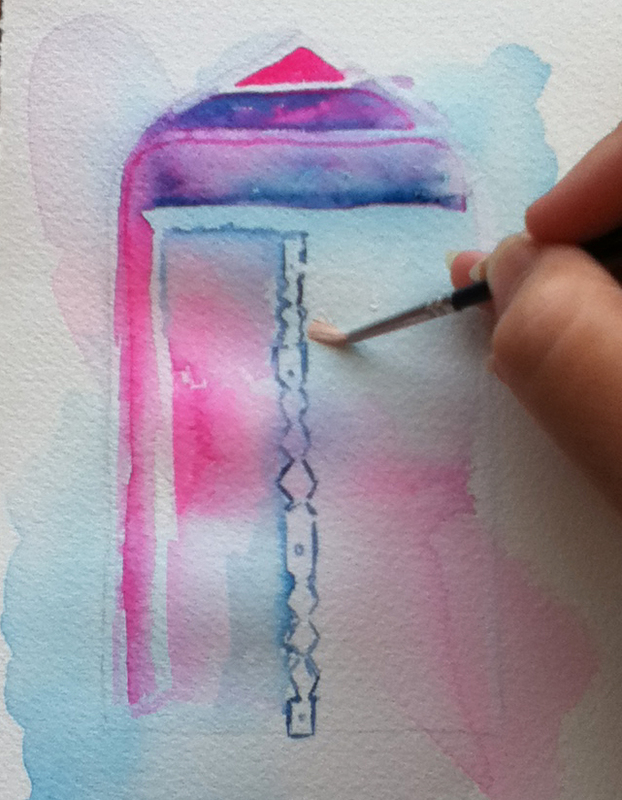 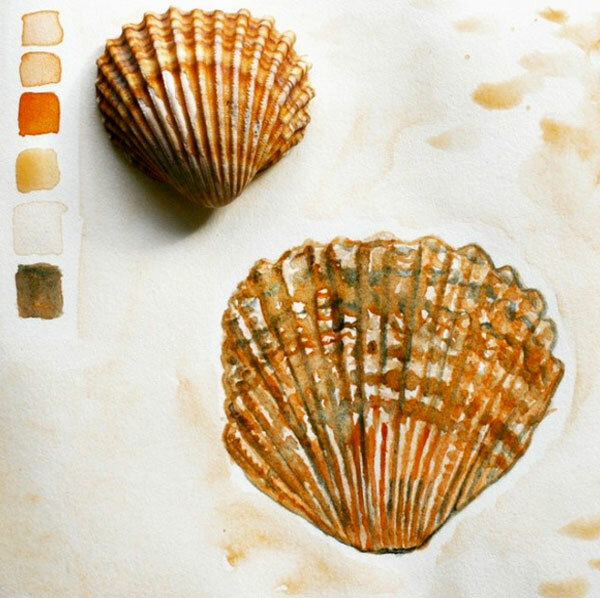 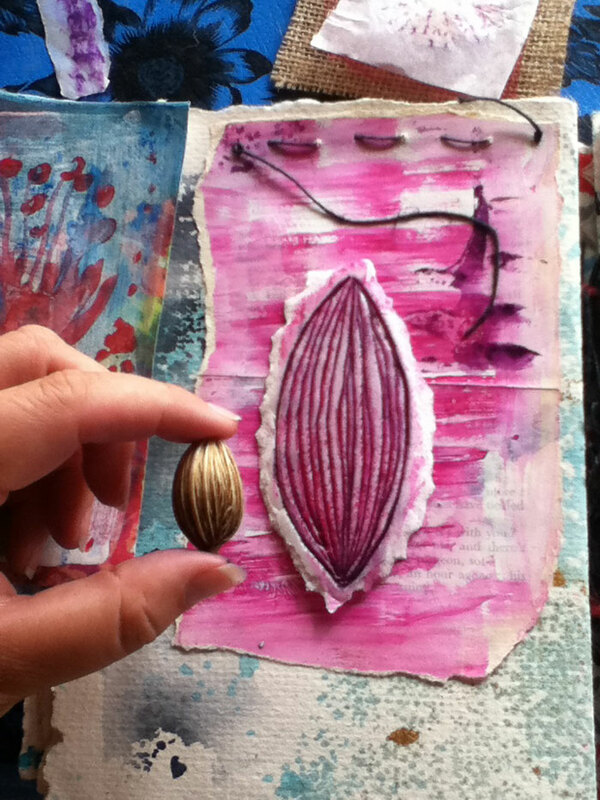 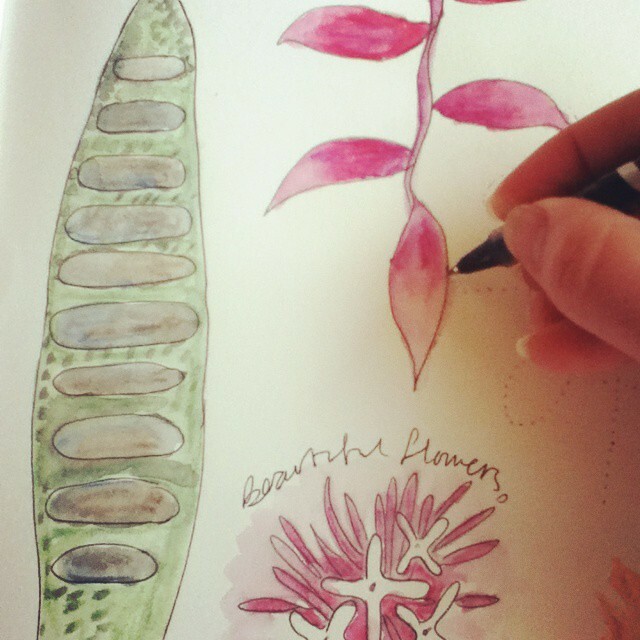 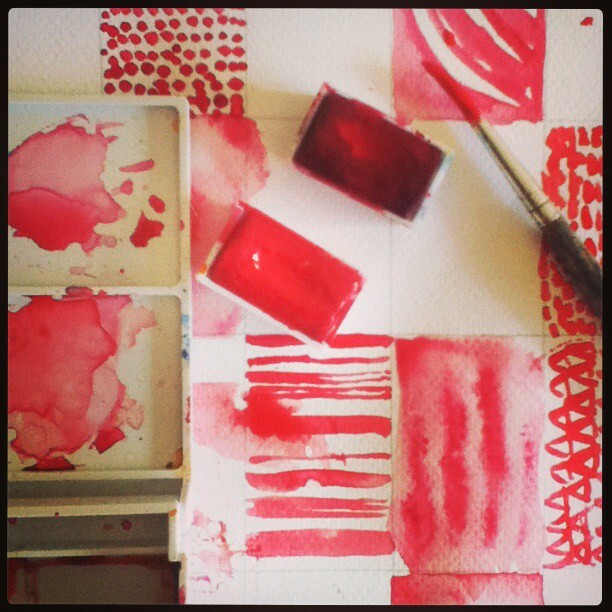 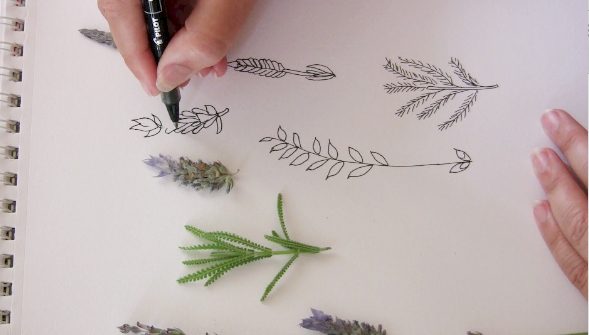 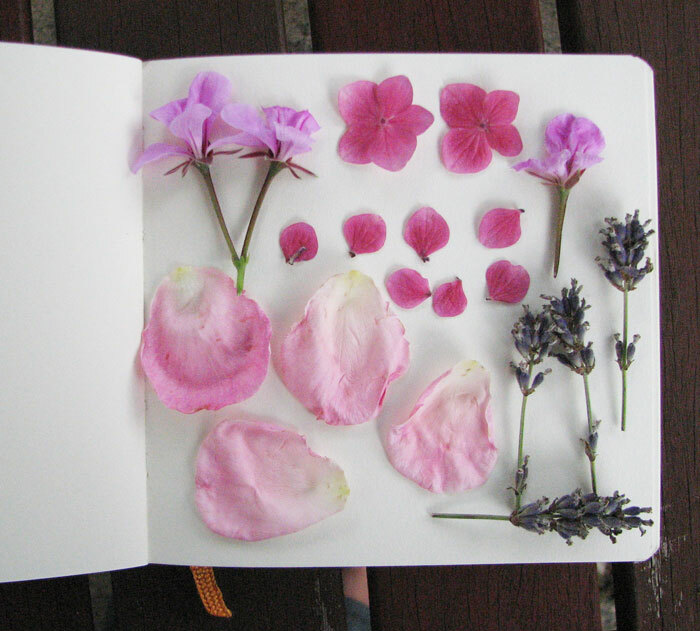 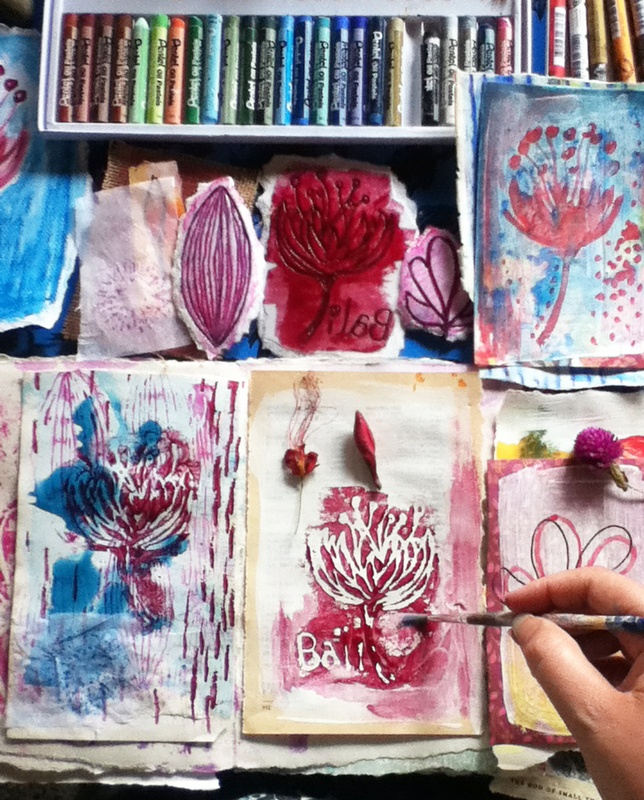 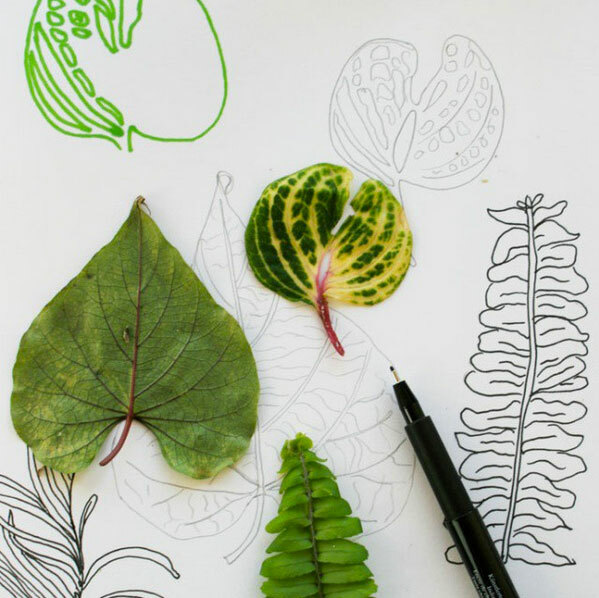 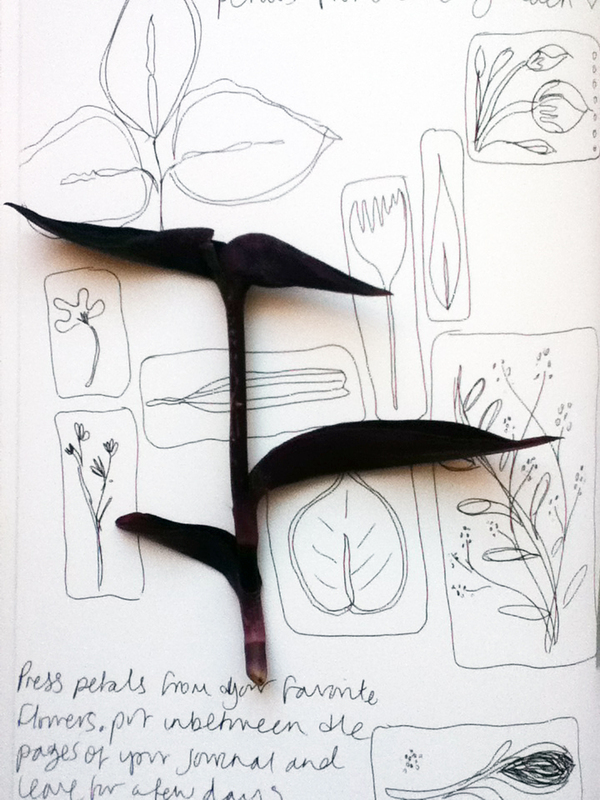 I use watercolor, pen work, petal pressing and lots more to capture beauties from nature. 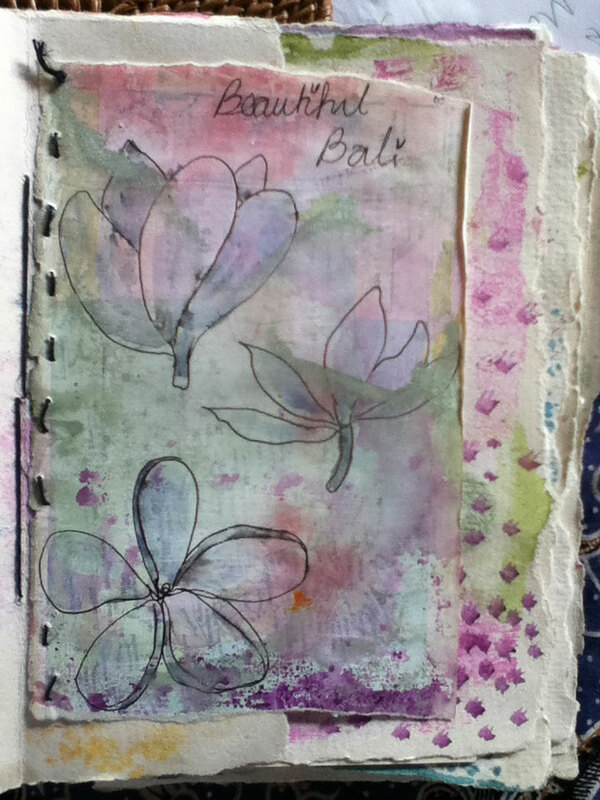 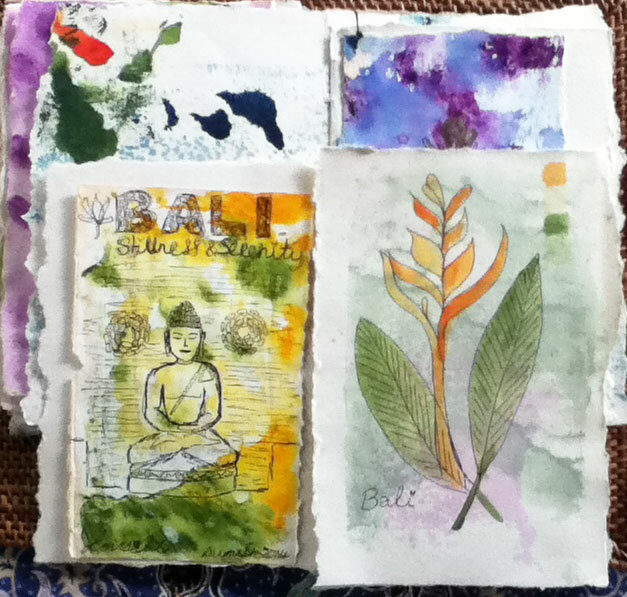 Beautiful Bali – so much inspiration. 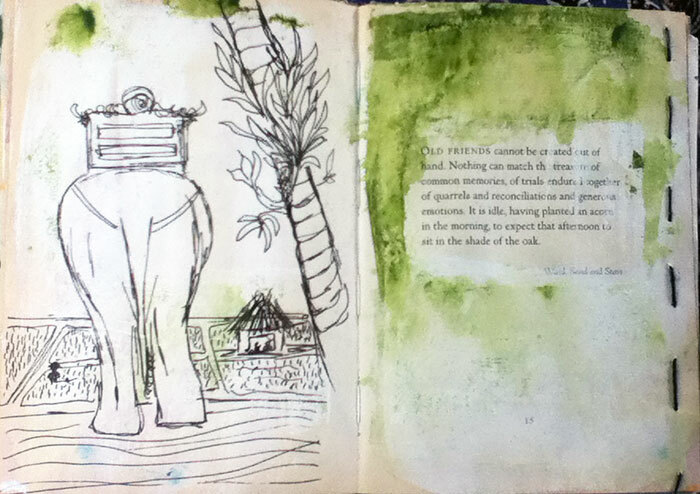 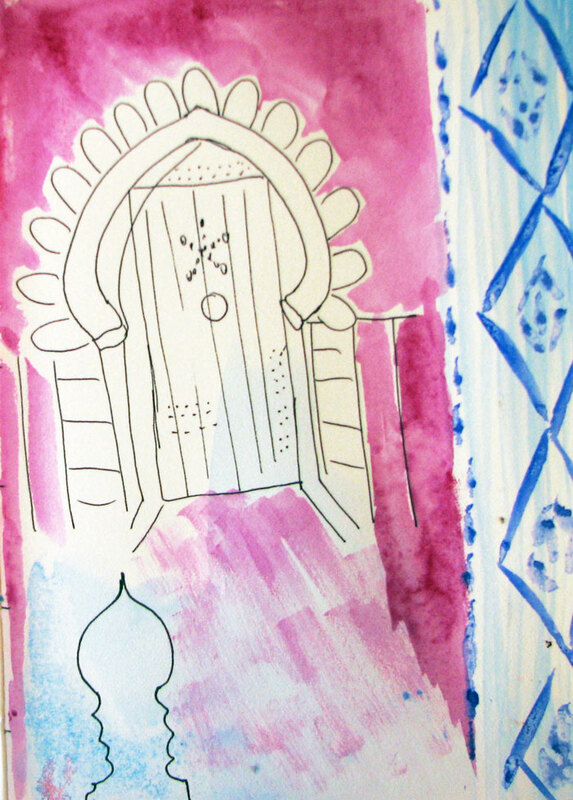 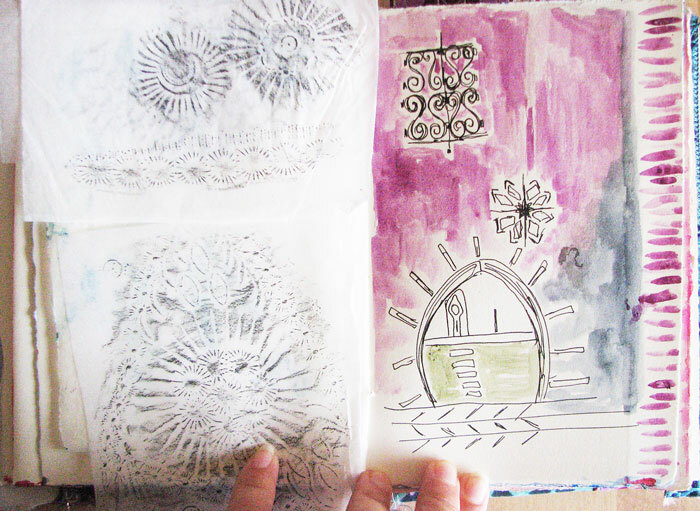 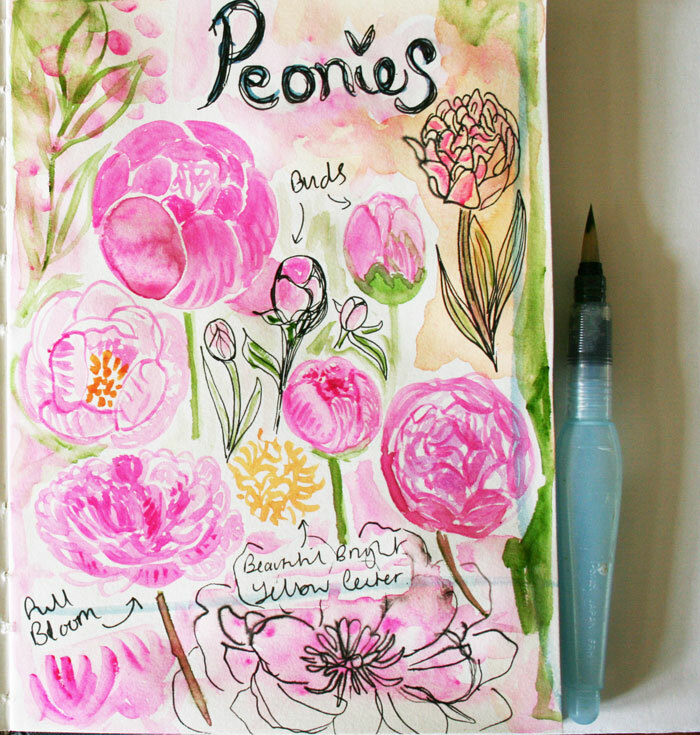 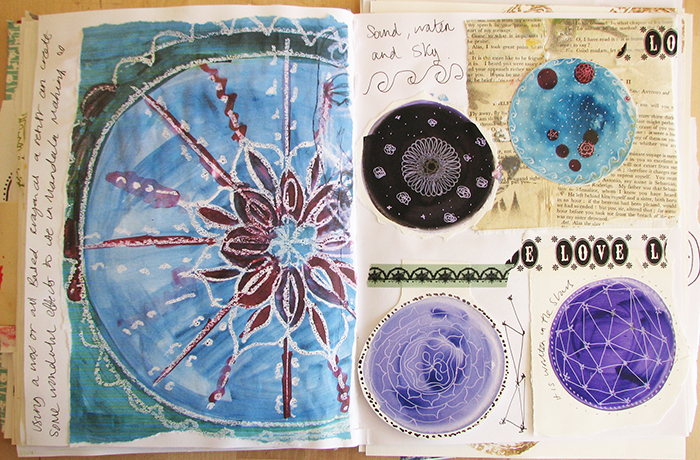 Here are just a few of my sketchbook pages from my month long trip there August 2014. 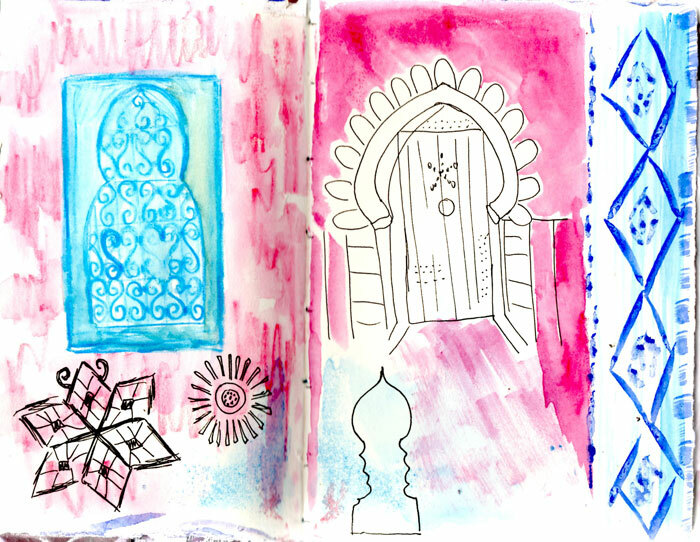 Magical Morocco. 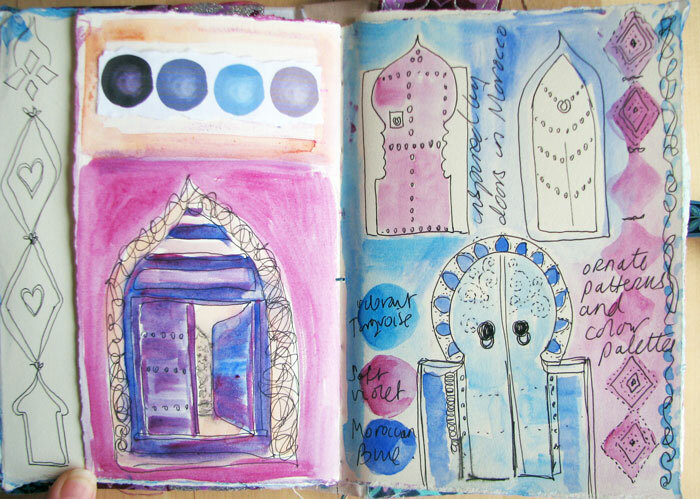 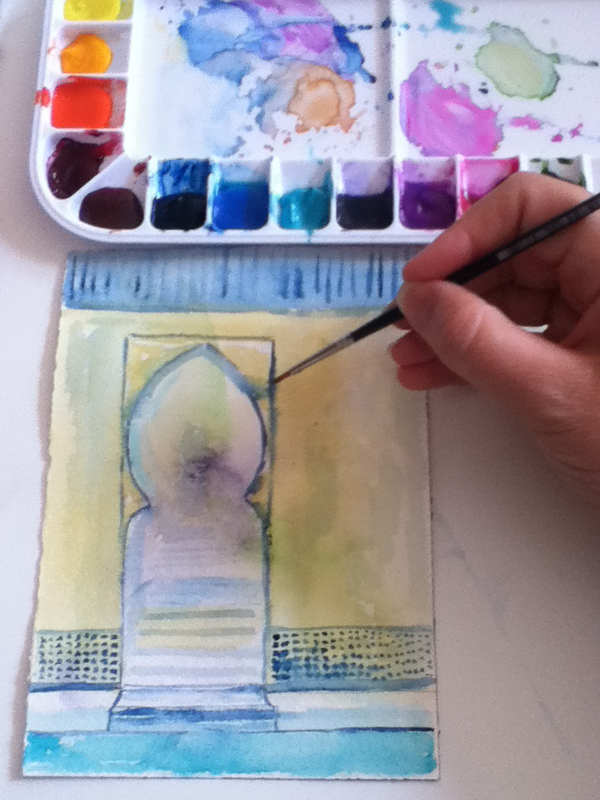 A few pages from my Marrakesh trip in November 2014. 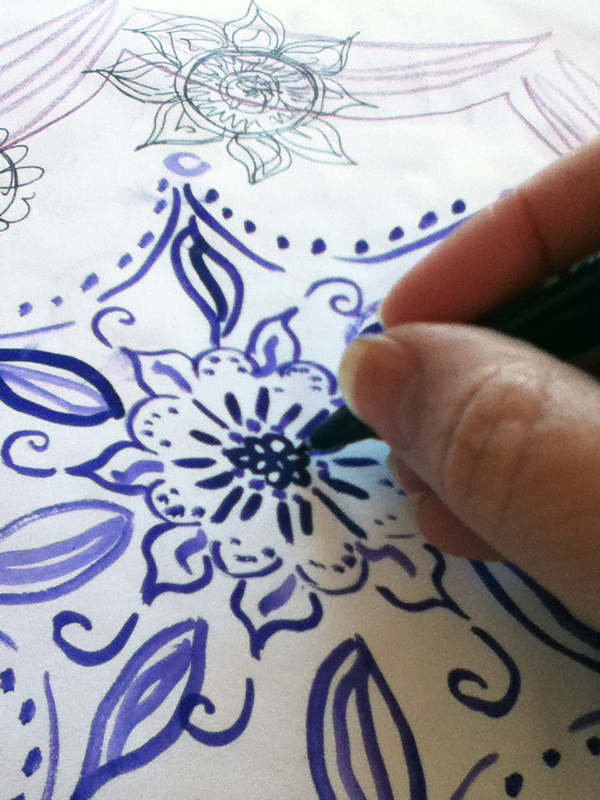 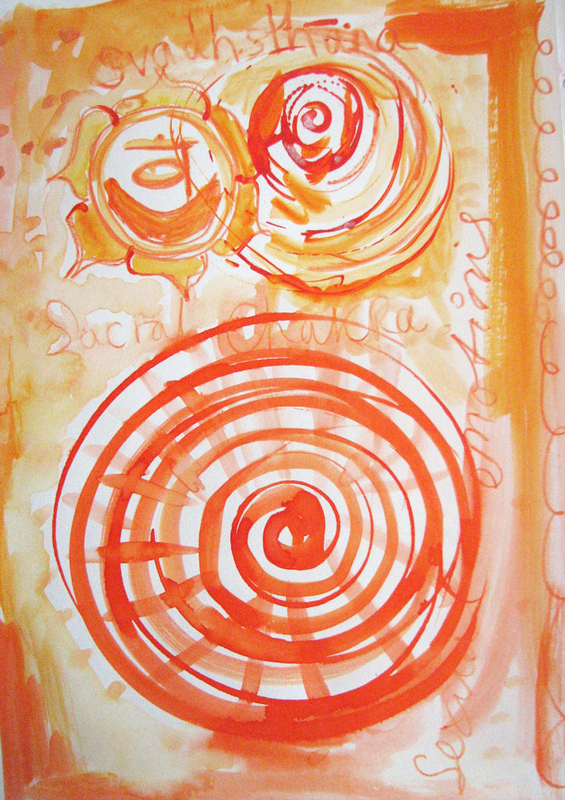 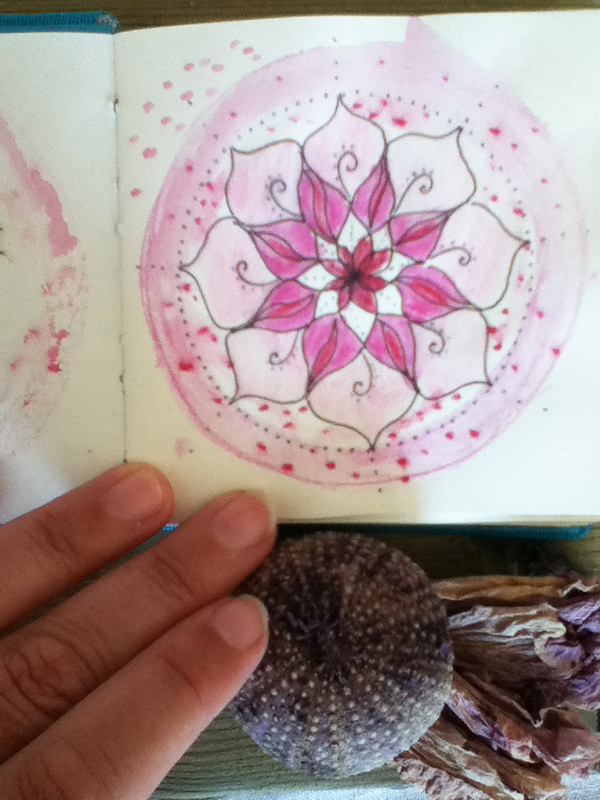 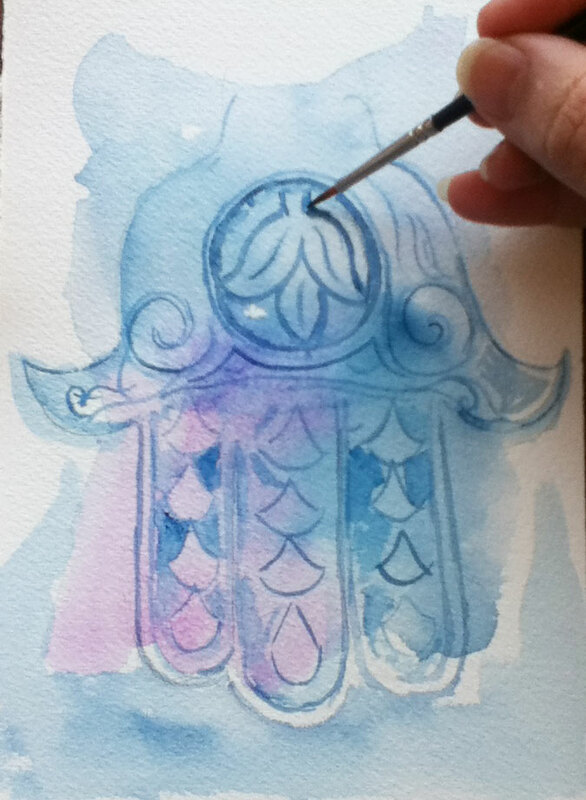 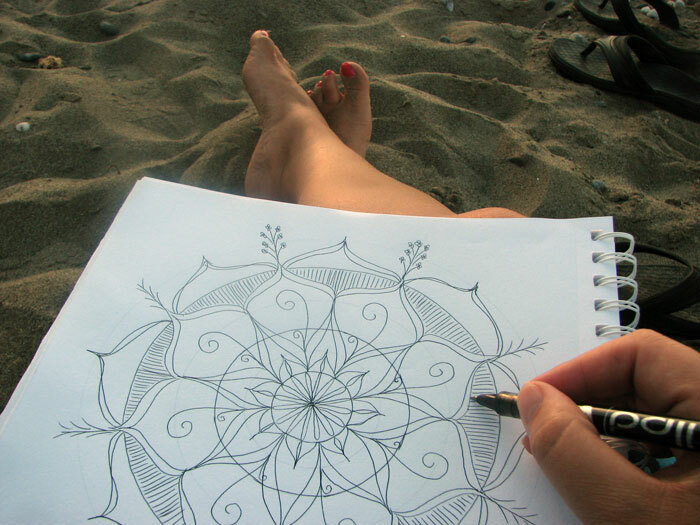 I love to collect mandala inspiration and my own motif sketches to use in my other mandala work. 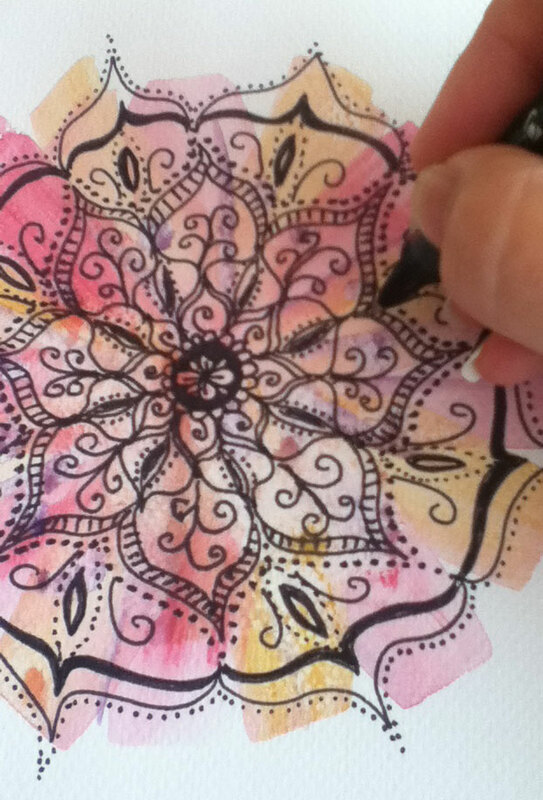 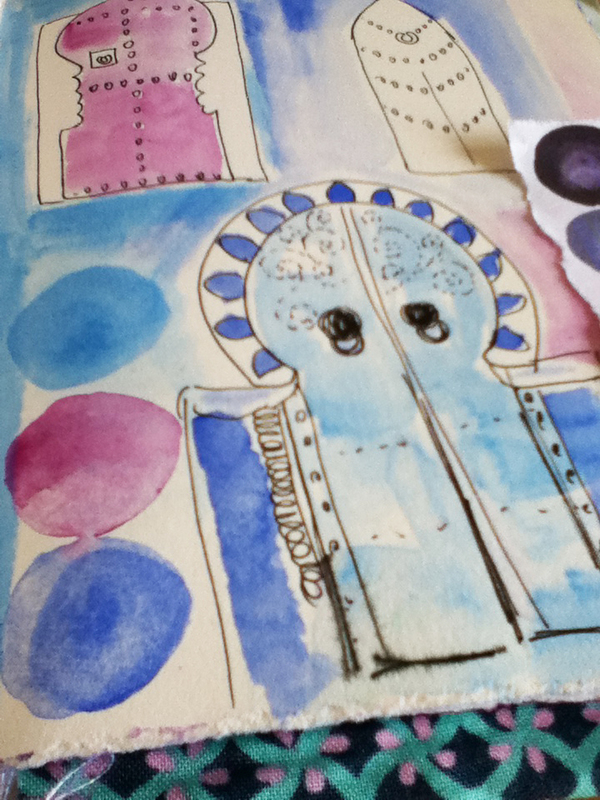 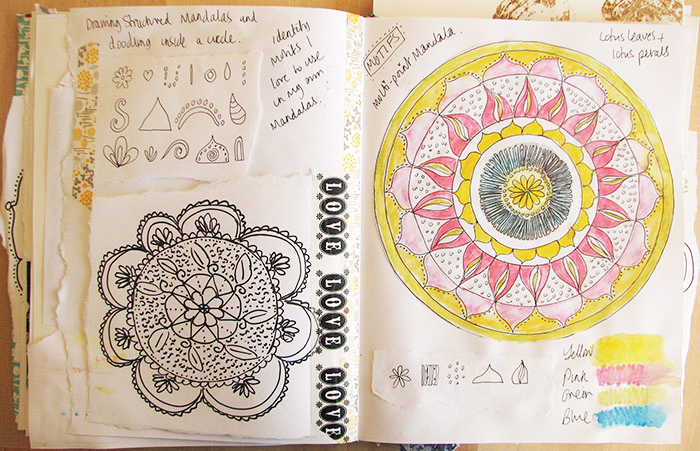 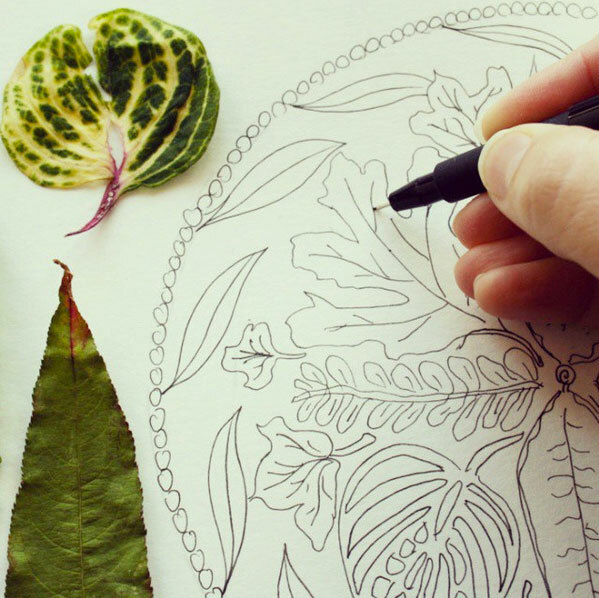 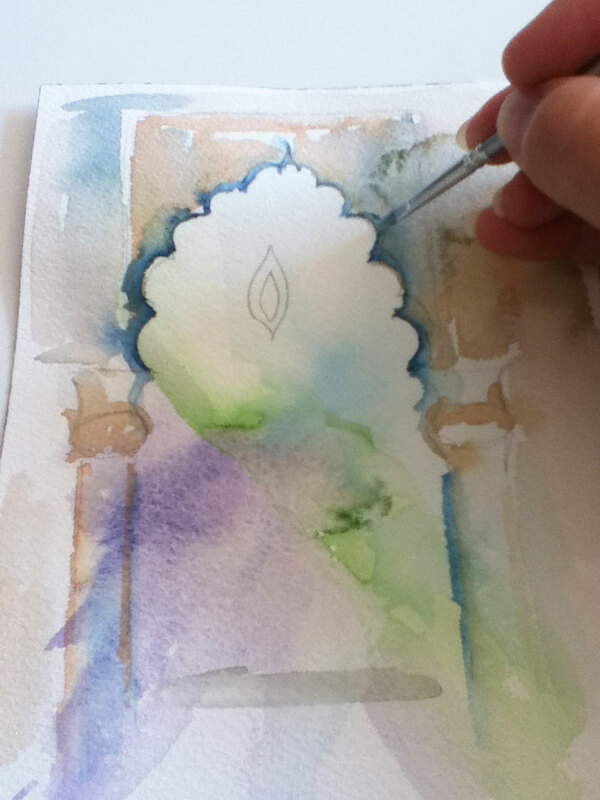 We also spend time creating motifs and drawing mandalas aswell as using mixed media in my online Mixed Media Mandala classes so students can create their own beautiful mandala sketchbooks. 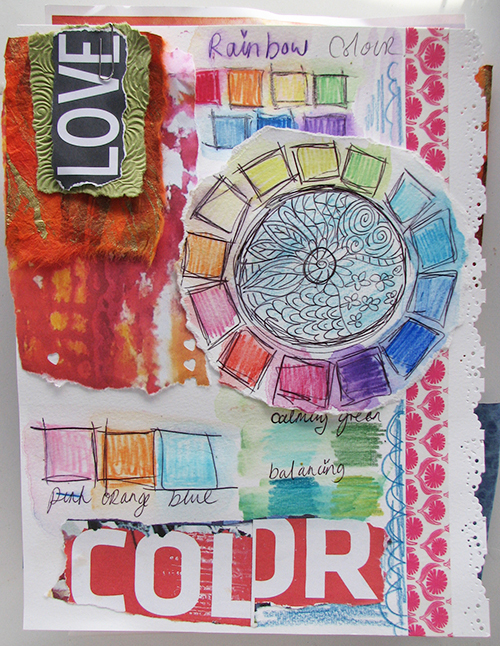 Collecting color is one of my favourite things to do. 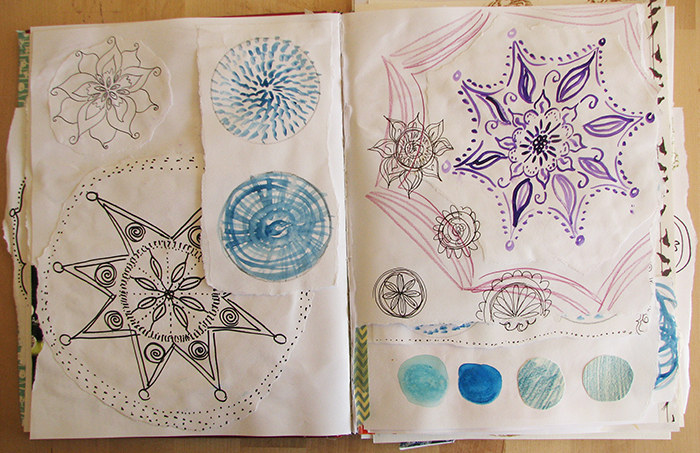 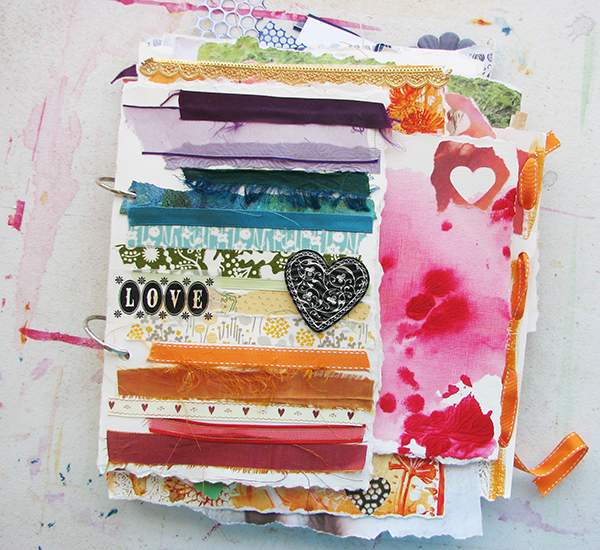 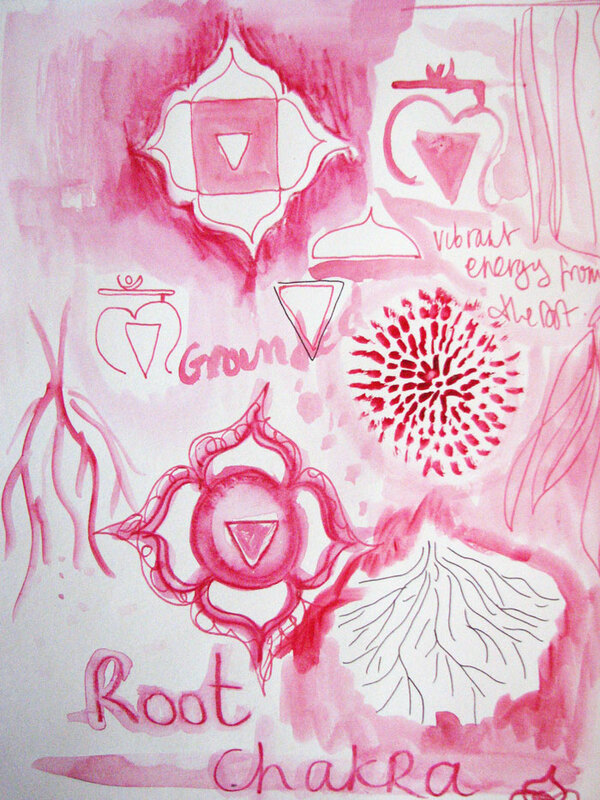 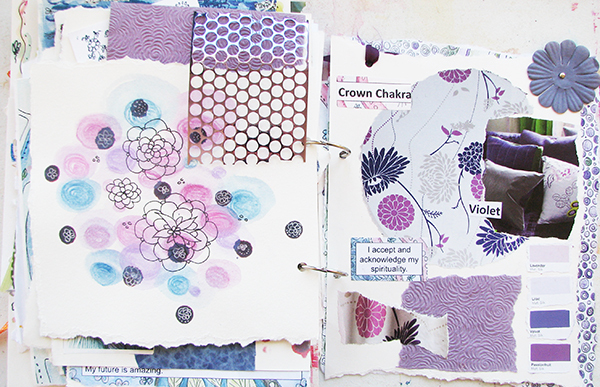 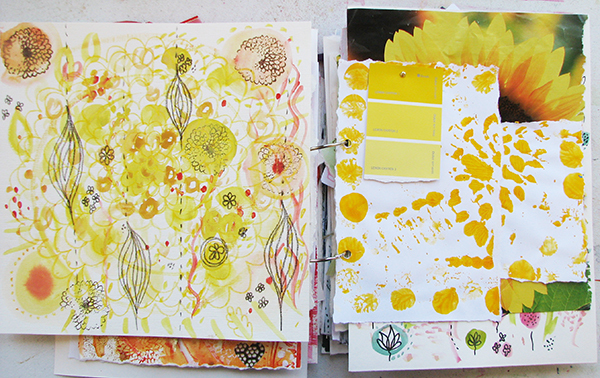 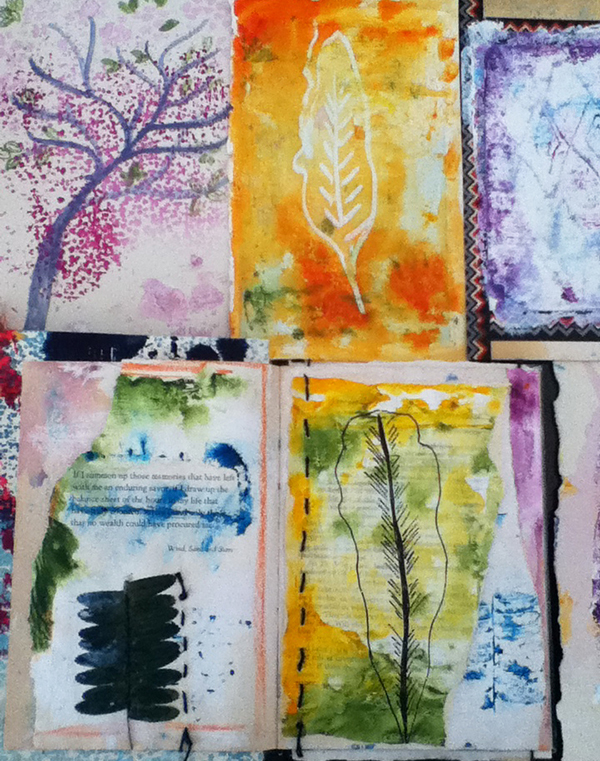 We use a journal in the Chakra Color Art class and here are just a few of my color pages from that class and personal pages I have had fun with!